Starting to see evidence that the February bounce in markets is fading. 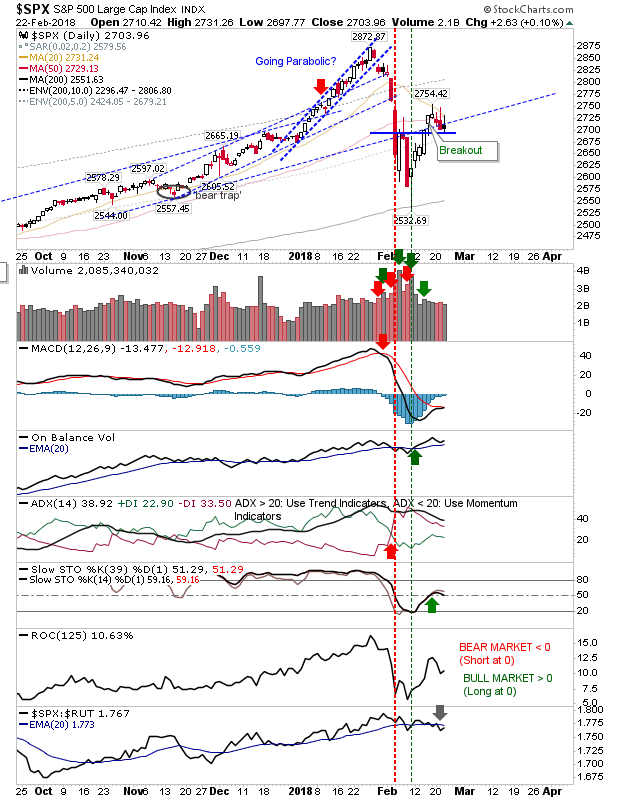 The Dow Jones Industrial Average finished with a 'bull trap' as it ducked below breakout support despite finishing above yesterday's close. Volume dropped as relative performance against tech indices took a marked step lower. Troubling times for the 'flight-to-safety' route. 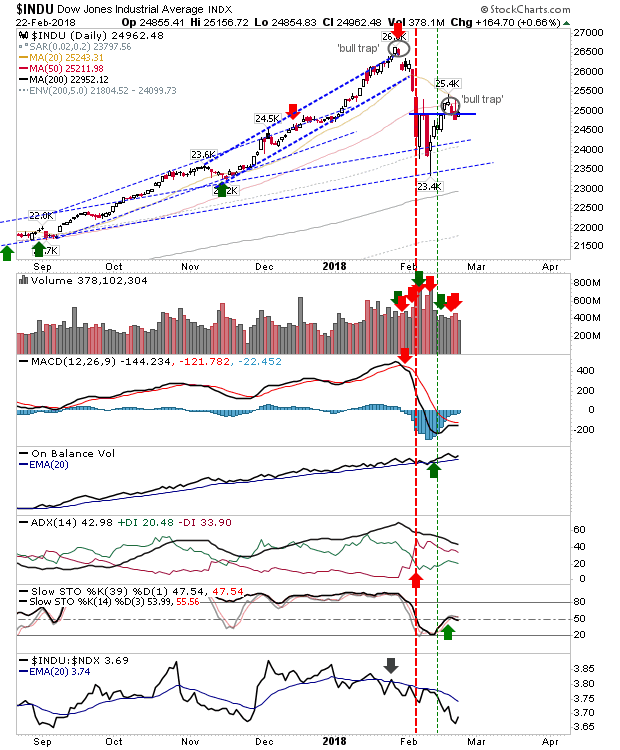 The Semiconductor Index had looked like it was ready to mount a challenge of the January 'bull trap' but the last couple of days have seen a second attempt at a reversal off resistance. Technicals are very close to turning net bullish but haven't done so yet. For now, shorts are ready to mount a new challenge with a stop above 1,350. 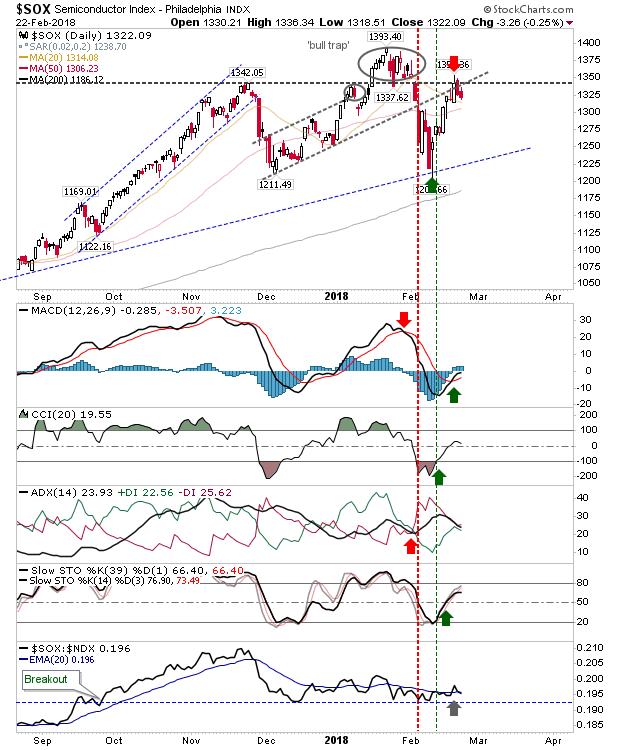 The S&P hasn't quite succumbed to the same level of selling as the S&P but the series of upper candlestick spikes suggests further weakness is favored. The Nasdaq finished a little lower but maintains a strong relative advantage. However, if Semiconductors do make a larger move lower it will drag the Nasdaq and Nasdaq 100 with it. The Russell 2000 was another to post a spike high with 1,550 again playing as resistance. 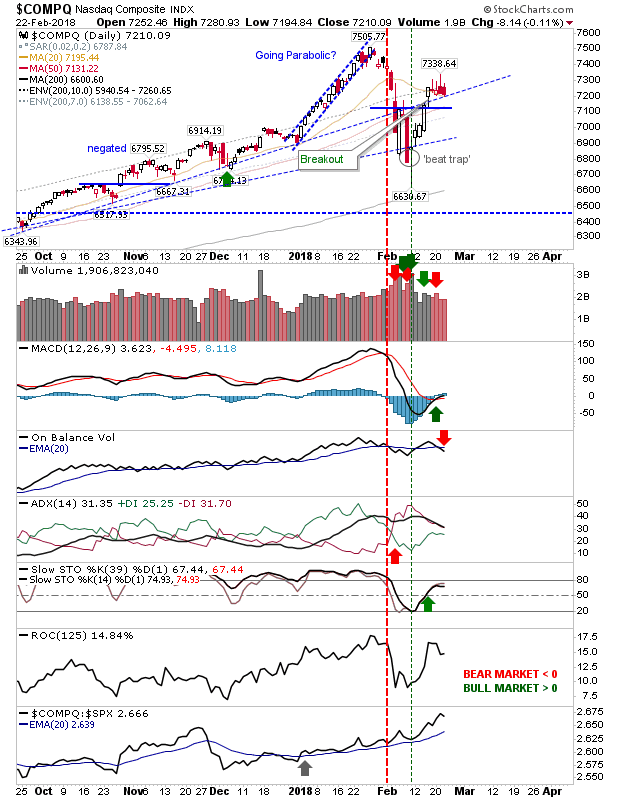 Technicals are a mix of bullish/bearish but the picture suggests this is a relief bounce; a solid move above 1,550 would be required to negate (not to mention a bullish cross in relative performance). 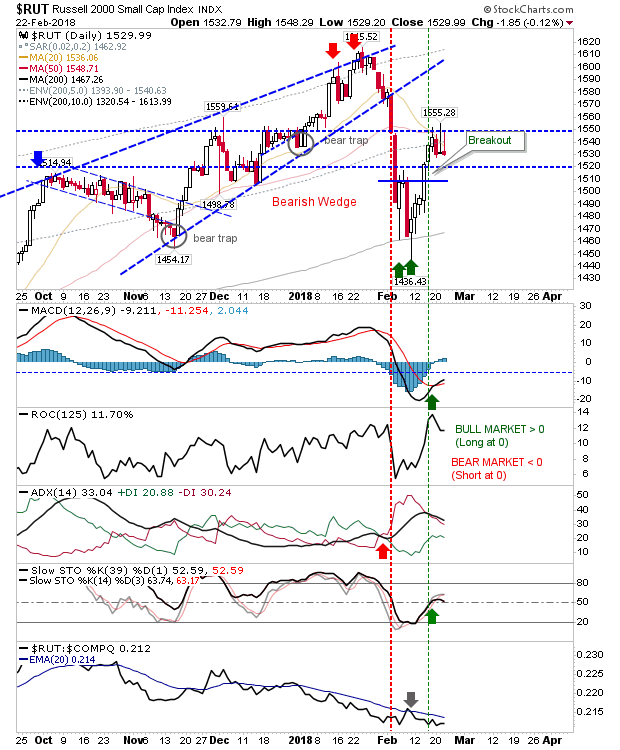 February's bounce is under threat and this week's action has not suggested bulls have full control. A retest of the February swing low looks necessary before prices can move higher. Shorts probably have the best play here for any of the aforementioned indices with a stop above this week's highs.